Opening day of a new Supreme Court is usually a moment of some drama, as the Court starts in again on a docket filled with major controversies, and an expectant audience shows up — including, on Monday, retired Justice Sandra Day O’Connor as a spectator. But the very first case to be heard turned out to be one of those the Court probably should never have taken on — and it ended with Justice Antonin Scalia sharply scolding a Chicago lawyer for wasting the Court’s time. The issue in Madigan v. Levin (docket 12-872) is an important one: how much power does Congress have to take away an individual’s right to sue over a violation of constitutional rights, by passing a substitute civil rights law? But that is an important issue only if it actually remains in the case, and the Court expressed doubt about that from the very beginning to the end of the one-hour hearing. 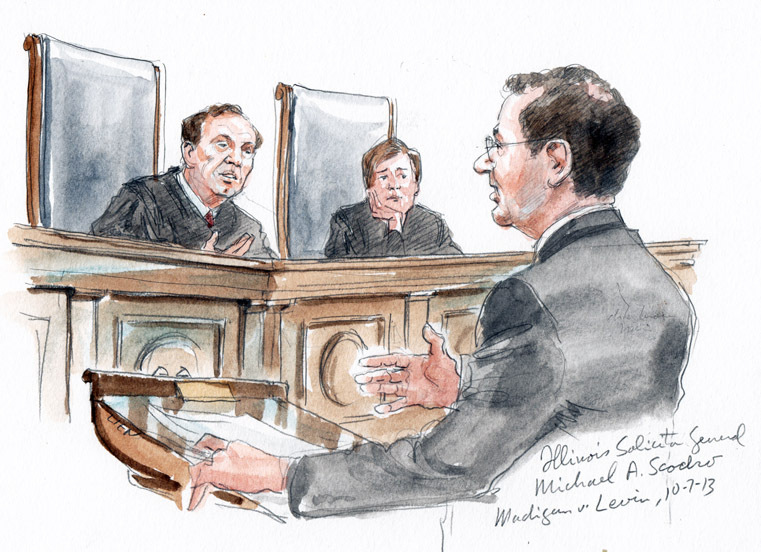 Several Justices openly suggested that the case should simply be dismissed or sent back to lower courts to clean up the mess. The case involves a fired lawyer for the state of Illinois, Harvey N. Levin, who contends that he was dismissed because of his age (sixty-one) to make room for a younger, female attorney. He won a major victory in the Seventh Circuit Court, allowing him to go forward with a claim that his constitutional right not to be discriminated against because of his age had been violated. The state took the case on to the Supreme Court, claiming that his right to sue under the Fourteenth Amendment had been displaced by the federal Age Discrimination in Employment Act. But a brief that had been filed by law professors who specialize in the arcane field of court procedure had obviously drawn the Court’s attention, and the Justices spent so much time on whether the Seventh Circuit Court even had jurisdiction to decide anything that Illinois Solicitor General Michael A. Scodro had little time to argue against Levin’s constitutional claim. The problem, in brief, was that the Seventh Circuit decided the case before it was due to go to trial, and the professors had questioned its authority to do that. If that was right, Justices Samuel A. Alito, Jr., and Anthony M. Kennedy commented, why did the Supreme Court have any business stepping in? 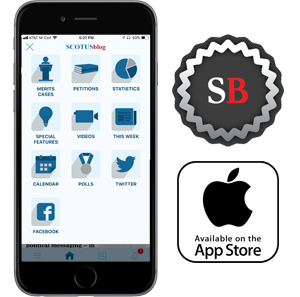 As Scodro tried to parry the Justices’ challenges, the notion that the Justices should go ahead and decide the basic legal issue grew weaker and weaker. Finally, Chief Justice John G. Roberts, Jr., suggested that maybe the best thing to do would be to return the case to lower courts to find out just what remained at issue, and then Justice Stephen G. Breyer said the Court perhaps should simply dismiss the case as one that should not have been granted. If anything, the viability of the case waned further, as Levin’s lawyer, Edward R. Theobald III, took to the podium. 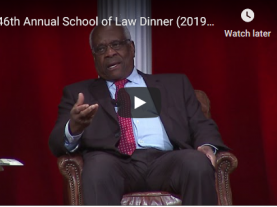 His appearance began on an unfortunate note, as Justice Alito tried unsuccessfully to get him to take a firm position on whether or not Levin was an employee under the ADEA. For reasons that were not clear, Theobald contented himself with simply reciting what the Seventh Circuit had said in ruling for his client. 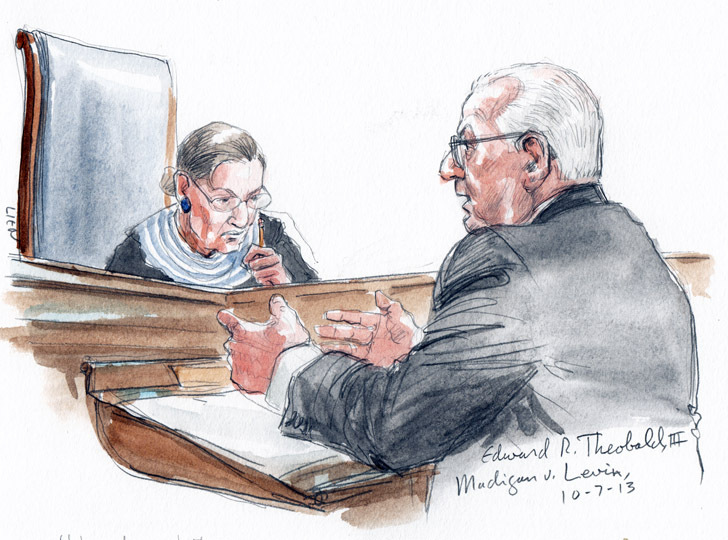 Chief Justice Roberts promptly took on Theobald, saying that he had gotten what he had sought from the court of appeals, and now was trying to insulate that result from any review. The Chief Justice was referring mainly to Theobald’s merits brief, in which he had put heavy emphasis on whether the ADEA issue was involved at all in the case, since Levin, he said, got no protection under that law. The argument, it was clear, was getting far out of Theobald’s opportunity to control it in his client’s favor. Finally, Justice Scalia had had enough. He noted that many of Theobald’s arguments had not been made in his brief opposing the Court’s review. “We don’t like to dismiss a case as improvidently granted,” the Justice said impatiently. “We depend upon counsel” to make arguments in a way that puts them before the Court. “You should have told us” earlier, Scalia said. The fate of his client from here on — and of the significant issue that the case supposedly raised — will have to await the Justices’ decision. It would be no surprise, though, based on Monday’s developments, that the Court would act quickly to get rid of the case, and leave the next stages to lower courts.